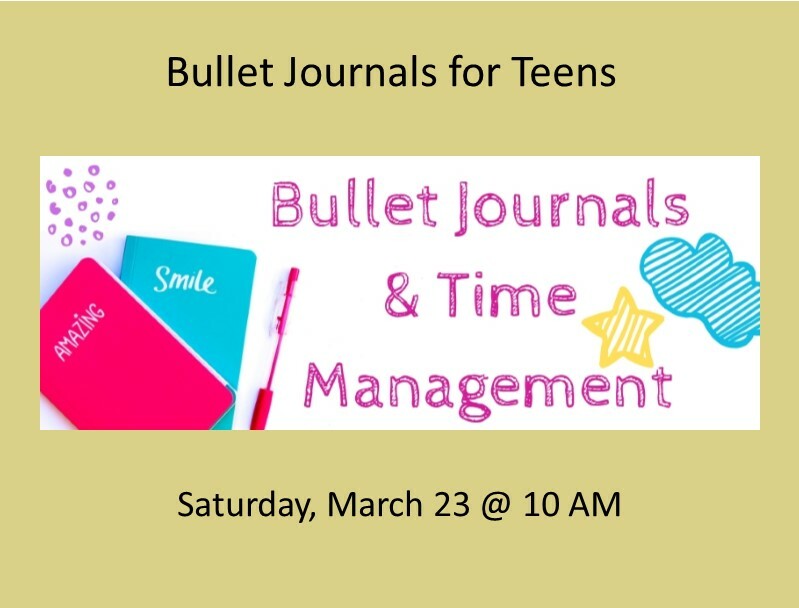 Learn the basics of bullet journaling and some key time management skills to help keep you on track. Make your own journal, decorated with washi tapes, stickers and gel pens to help organize your plans and goals for this year. We request that you RSVP so that we can get an accurate count for supplies.